Low-Cost Titan. The cheapest model in the F-series with full HD, Blu-ray, and a fast Core i5, is already available from 930 Euros. Discover if the soundscape has improved, and whether the display has kept its strong colors. 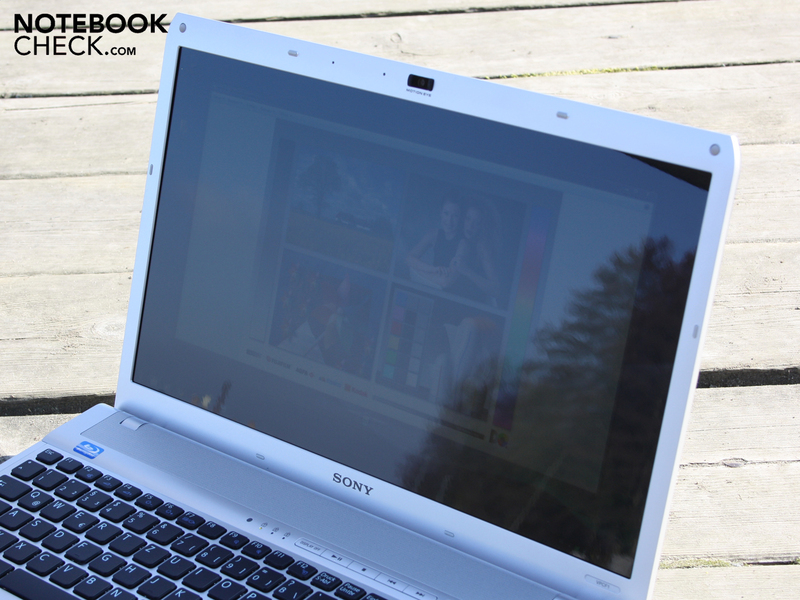 Sony Vaio VPC-F13L8E/H Titanium gray: Multimedia 16.4 inch notebook in silver with full HD for an attractive price? 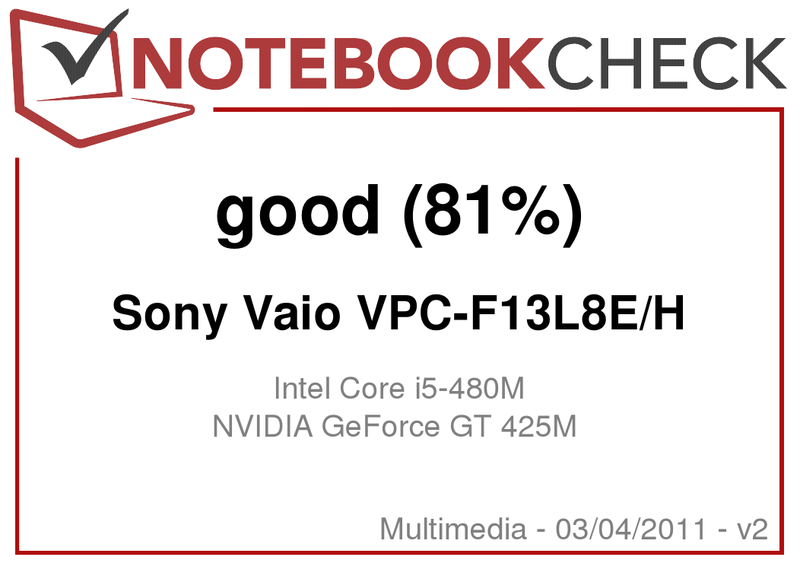 During November of the past year the 16.4 inch notebook that goes by the name of Vaio VPC-F13Z1E/B came through our tests. With a four core Core i7-740QM, 8 GBs of RAM, 7200 rpm Seagate hard disk, and a GeForce GT 425M it was a multimedia device tuned towards performance. The best thing was and still remains: The 1920 x 1080 pixel containing display panel (full HD), which was non-reflective, and offered good contrasts along with an extended color space. This was still not enough for a rating of Good in our opinion though, primarily due to the irregular noise levels, noticeable whistling sound, high power consumption, and short battery run times. 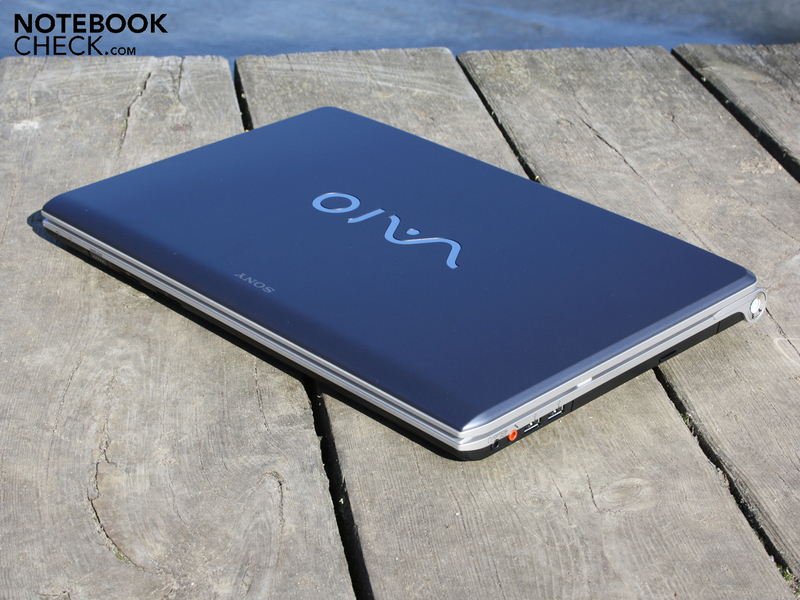 The result was an 80% rating, which was likely a disappointment for many Vaio fans. The current price for the F13Z1E/B: 1410 Euros. The sister model VPC-F13L8E/H that stands before us today has a similar sounding name, but the price and configuration have changed considerably. For the apparently attractive price of 930 Euros it is available in shelves. Once again there is full HD (this time reflective) and a GeForce GT 425M. The rest of the configuration has been trimmed back a little, but hasn't changed for the worse dramatically: Core i5-480M (2 x 2.66 GHz), 5400 rpm Toshiba hard disk, and the Blu-ray burner (BD-RW) has turned into a reader (BD-ROM). 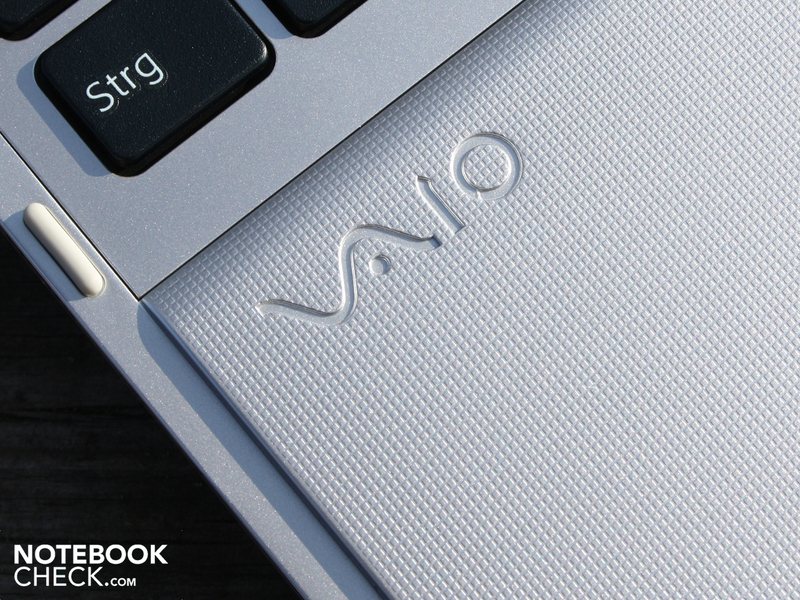 The Vaio F13 has an exemplary stiff case. Holding it with both hands we were only able to bend the base unit minimally with a lot of strength. The base plate shows a smooth plastic. Also here the surfaces are stable almost everywhere, with the exception of the area beneath the optical drive. This can be pressed in. The matte and insensitive surfaces can withstand a lot of transportation. The hand resting area and the touchpad show a stable picture on the whole. 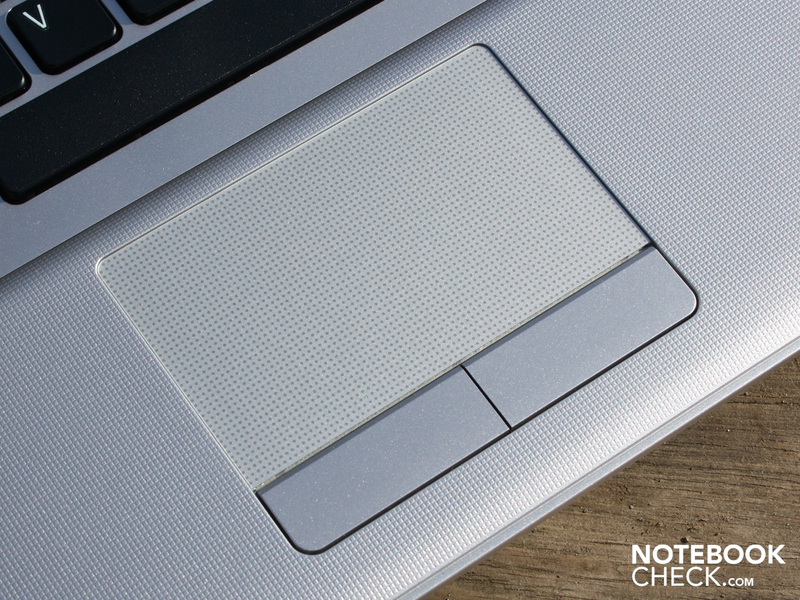 Hands feel comfortable on the grippy and wide surface. The haptics don't make an especially high quality impression due to the plastic, but this is practical and doesn't scratch easily. This invites mobile use. On the other hand the Vaio F13 is very heavy though with 3015 grams. And the accompanying AC adapter with 314 grams is also not a featherweight. The hinges hold the heavy display lid in place securely, and don't allow any teetering. The hinges are relatively rigid. 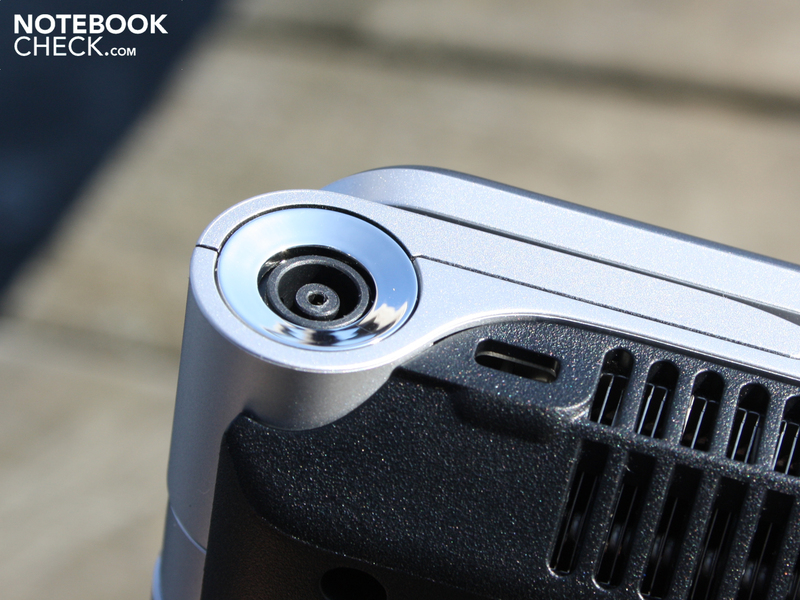 The maximum opening angle of around 140 degrees is sufficient for using the device on your lap. 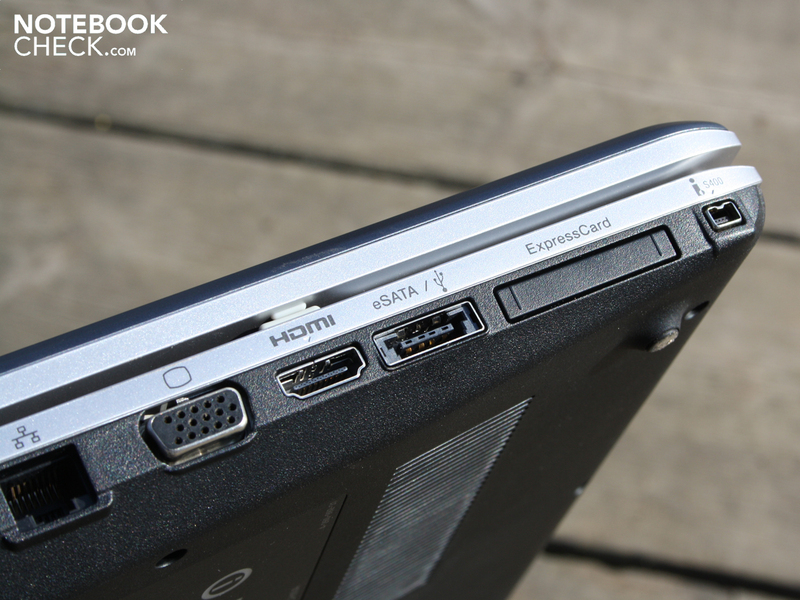 The multimedia notebook almost has the whole spectrum of current ports available. Next to Ethernet and VGA, there is also HDMI on the left. Those that are still missing an interface, can include this using the ExpressCard34 shaft. 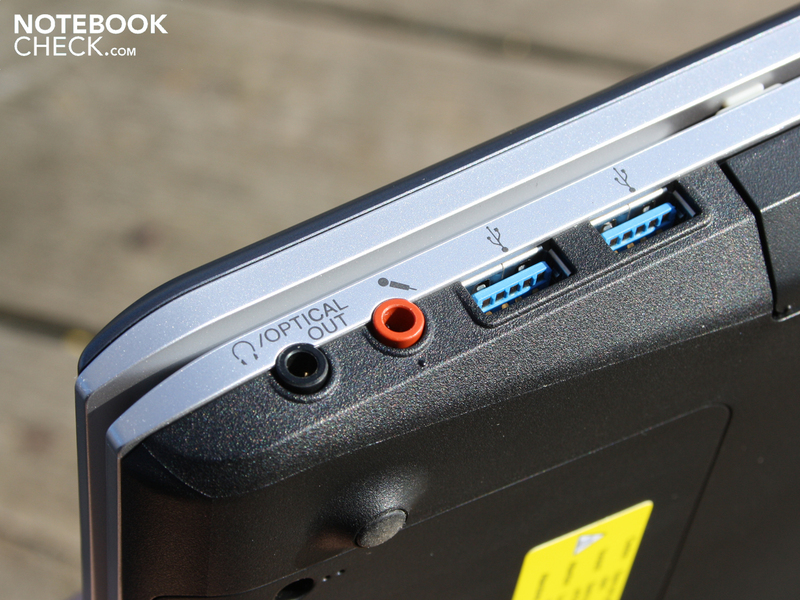 This won't be necessary for USB 3.0, since two ports are contained on the right side. The fast transfer of data is not only possible via the blue USB 3.0, but also FireWire and eSATA. Camcorders or external hard disks can be connected to the iS400 port (FireWire). People that work with large images or videos will know to appreciate fast data transfers. Those that envision the F13 with a complete assortment of cables will notice disadvantages when it comes to the placement of a mouse, or at least with the mess of cables on the desktop. 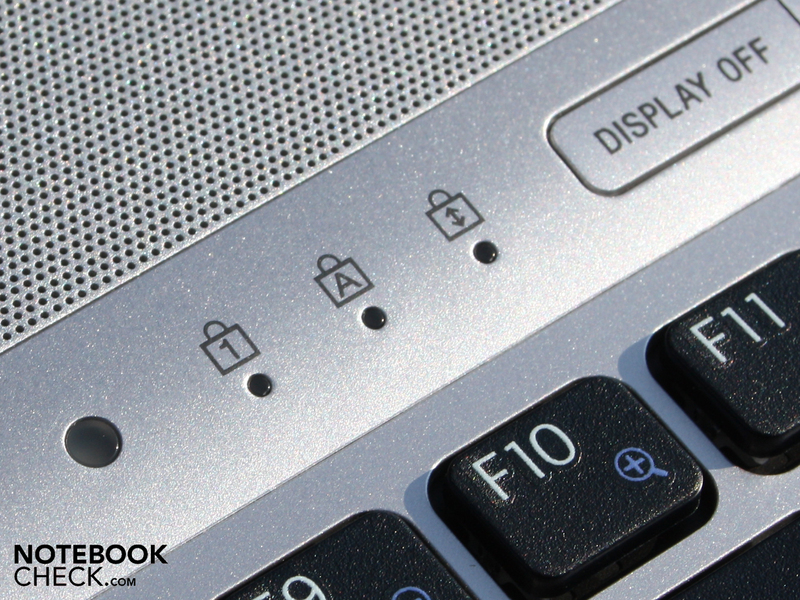 Interfaces at the back of the 16 inch notebook would be more practical for many users. There is no docking station for the F-series. Sony has included two card readers to allow reading of Sony Memory Stick HG-Duo cards as well as the usual SD memory cards. This is sensible since HG-Duo is the memory card format of several digital single-lens reflex cameras, high-end digital cameras, and digital camcorders. The VGA webcam with a mere resolution of 640 x 480 pixels (0.3 MP) is a disappointment. WLAN in its fastest incarnation is offered by the wireless card from Atheros with the Draft-N standard (AR9285). The integrated Bluetooth module supports the standard 3.0+HS. The Marvell Yukon 88E8057 LAN adapter communicates suitably with Gigabit. 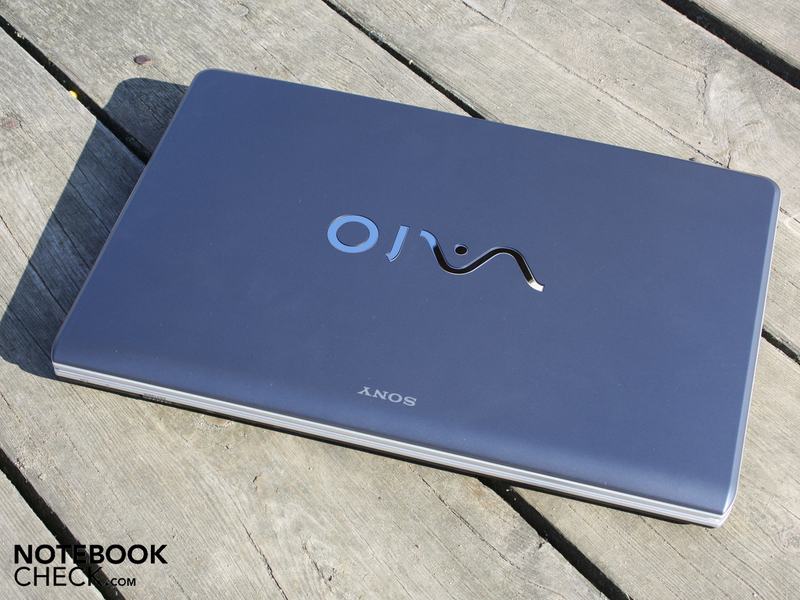 The 16.4 inch notebook is hence well equipped in terms of networking. There are no media included, merely a quick start, recovery, and service manuals. A Recovery-DVD for restoring Windows Home Premium 64-bit to its initial state has to be burned by the users themselves (Vaio Assist). 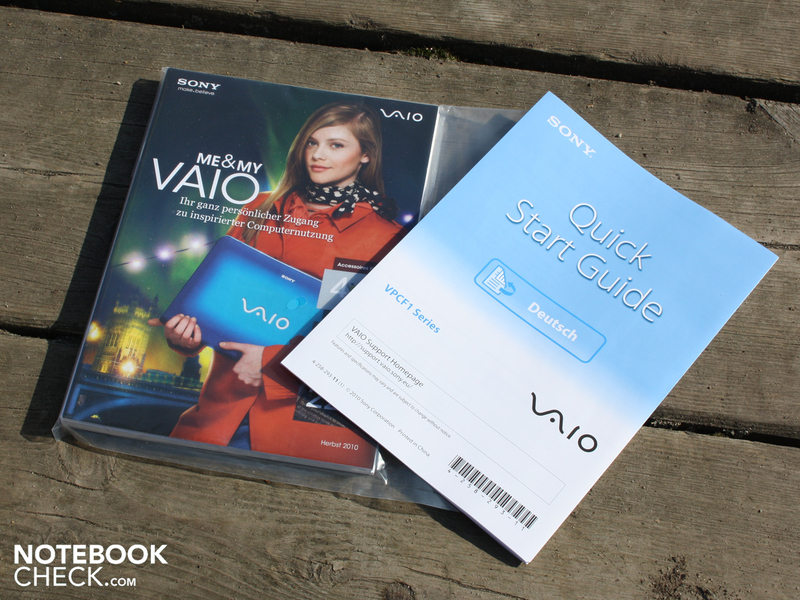 There are countless Vaio Tools and programs on the hard disk. Users will have to decide for themselves about whether these are useful or not (PMB VAIO Edition, Media Plus, Microsoft Office 2010, McAfee subscription Starter). 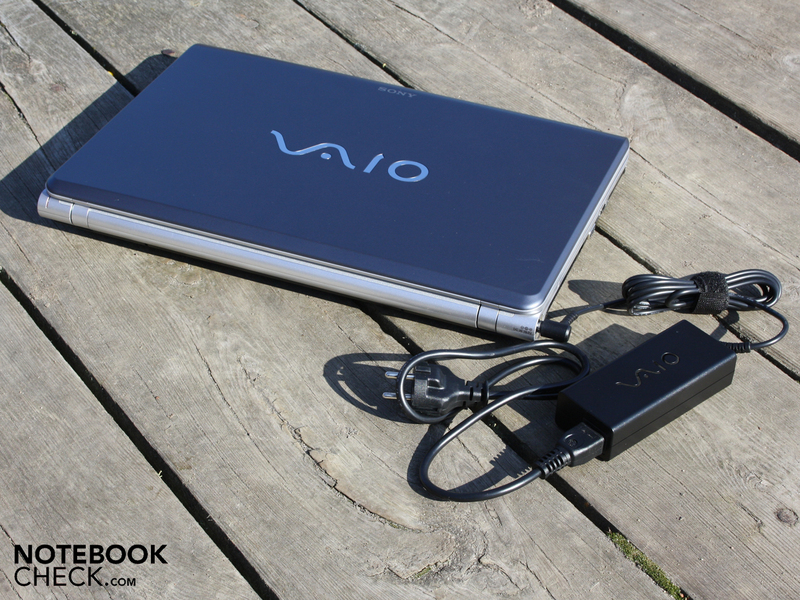 Sony has opted for a 24 months bring-in warranty for the Vaio. This is composed of a 1 year basic warranty, plus a 1 year additional warranty exclusively for Sony partners. Depending on the place of purchase, buyers will have to inform themselves, and possibly register, in order to claim the 24 months. The keys are clearly separated from each other with a separator between them. The keys offer writers a clear pressure point, a for laptop standards long key travel, and a firm end stop. These are, next to the generous layout, the most important criteria for regular typers. The base of the keys doesn't lie firmly everywhere though. Around the Return key and the alphanumeric keypad, the base bounces slightly. This wasn't disturbing in our opinion though. The alphanumeric keypad makes the entry of numbers and the operation of a calculator easier. A positive aspect are the clearly separated arrow keys. The mouse replacement is almost evenly integrated into the hand resting area. The Alps-Pad has a matte but relatively smooth surface, which only provides a slight resistance for fingers. The cursor can be controlled accurately and easily. The large surface is sensitive up to the edges. The surface contains horizontal and vertical scrollbars without any markings. 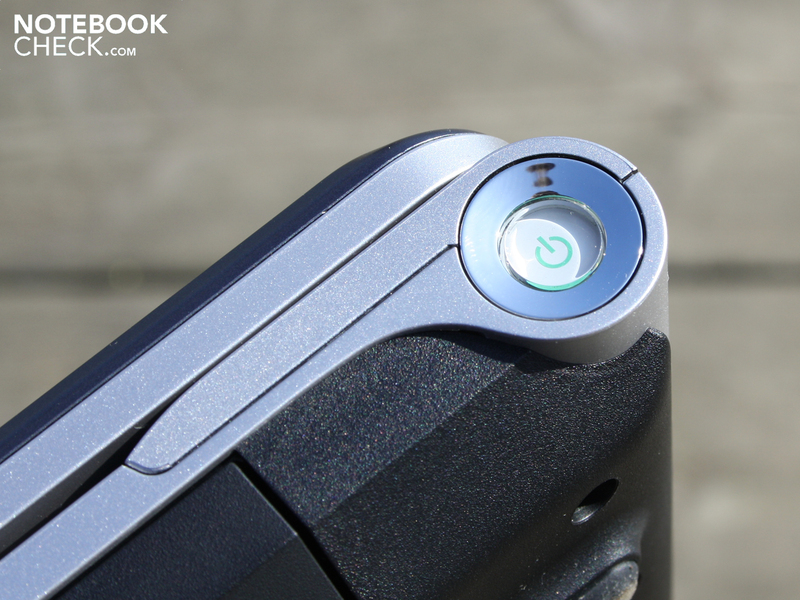 The multi-touchpad allows for gestures by using several fingers. The buttons may be loud, but have a clear travel which allows fast clicking. 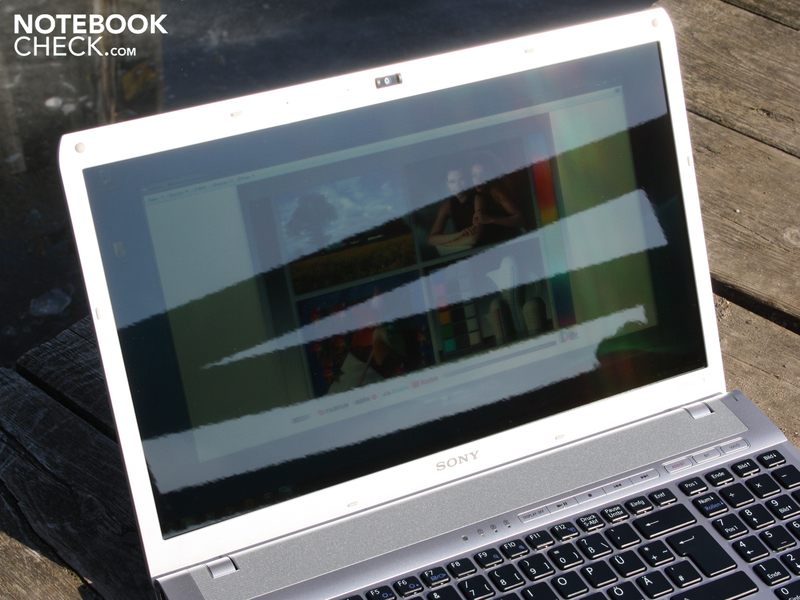 The full HD TFT on the Vaio has a resolution of 1920 x 1080 pixels. The panel has a reflective surface. The glare type display is not the best choice for a workplace notebook. The F13 wants to be an entertainer though, and the reflective display provides a better color representation as well as more optical brilliance. This is also about it as far as helping the colors is concerned, since the contrasts for the F13L8E/H are not favorable. The black level of 1.6 cd/m² indicates a very low contrast of only 138:1. 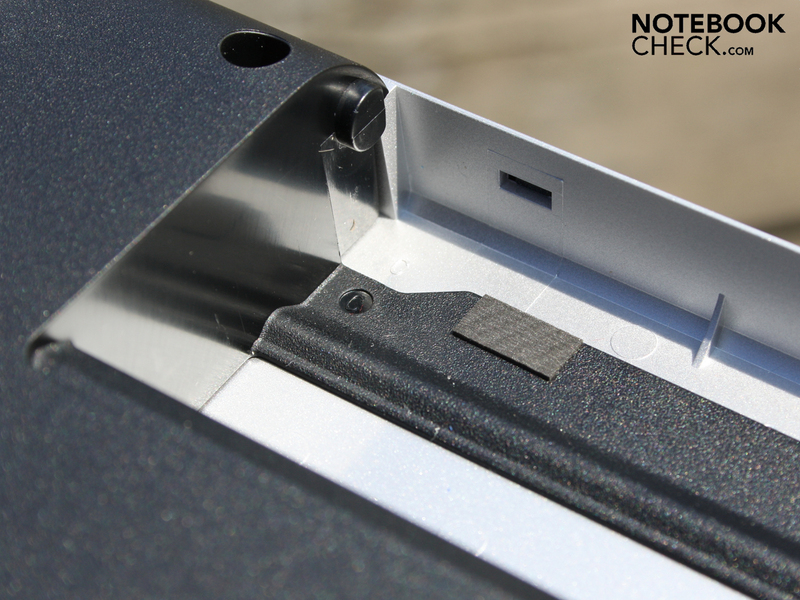 This is not only a low contrast, but also one of the weakest that we have measured for notebooks or netbooks. 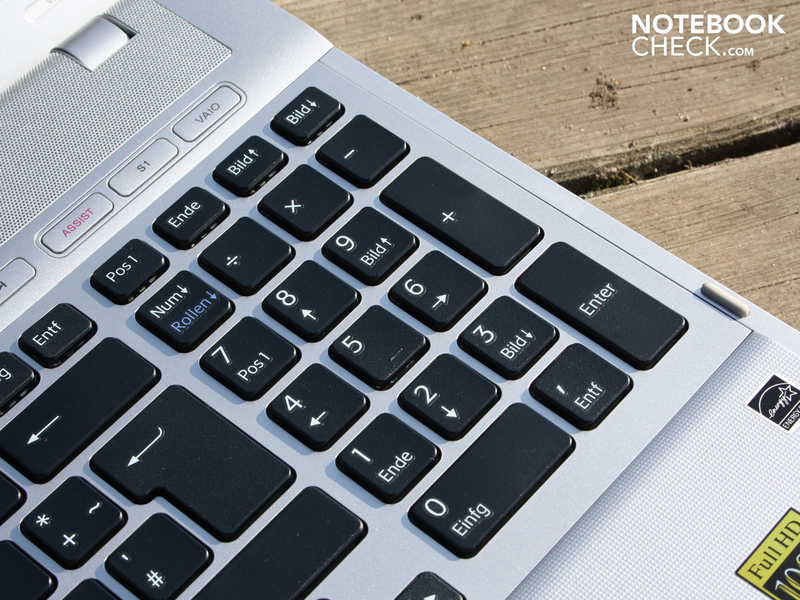 Most laptops with an 08/15 panel lie between 150:1 and 200:1. 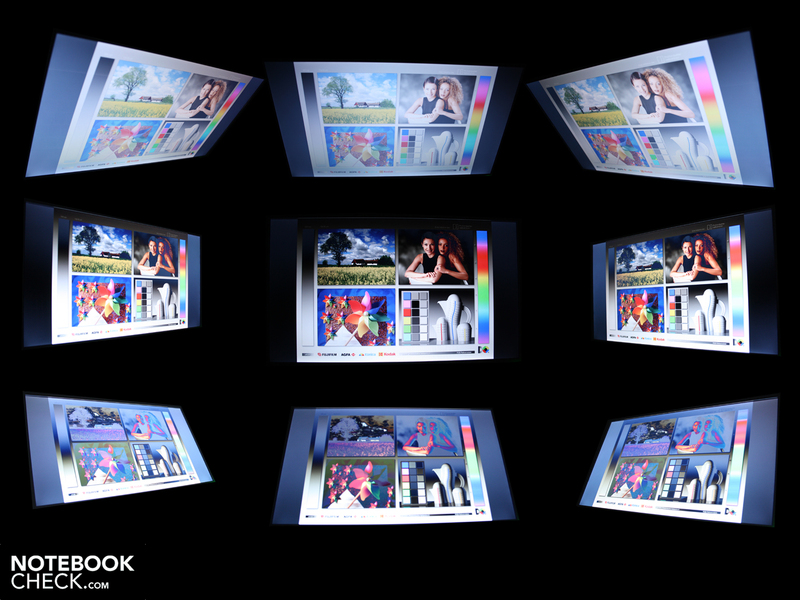 In this sense professional users of image and video processing will already know what the color space will look like. The defined sRGB color space (t) is far in the distance. The concurrently tested consumer model Vaio EB4X1E (FHD) had a significantly bigger color space. The LED backlight on the full HD display brightens the panel up to 220 cd/m² in the middle. The average level lies at only 199 cd/m², and the illumination is not even at 78 percent. 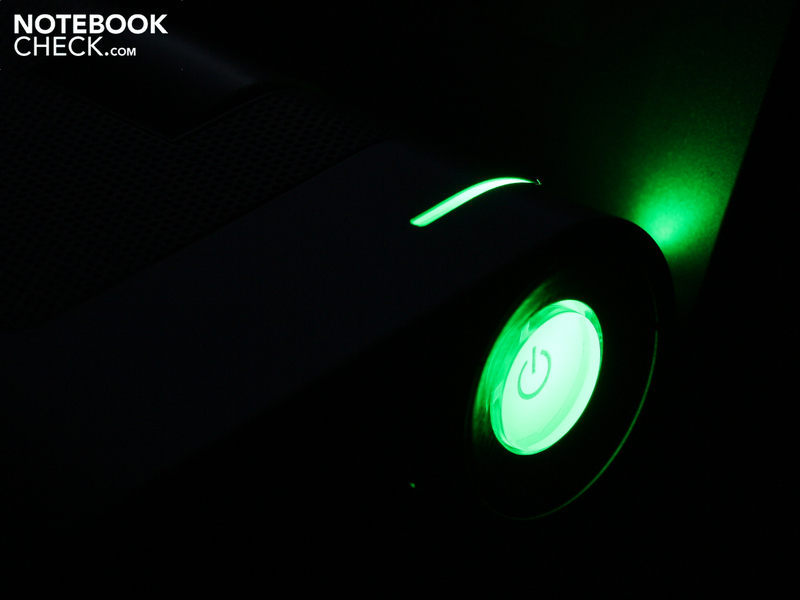 The ambient light sensor influences the brightness of the backlight LEDs when activated. 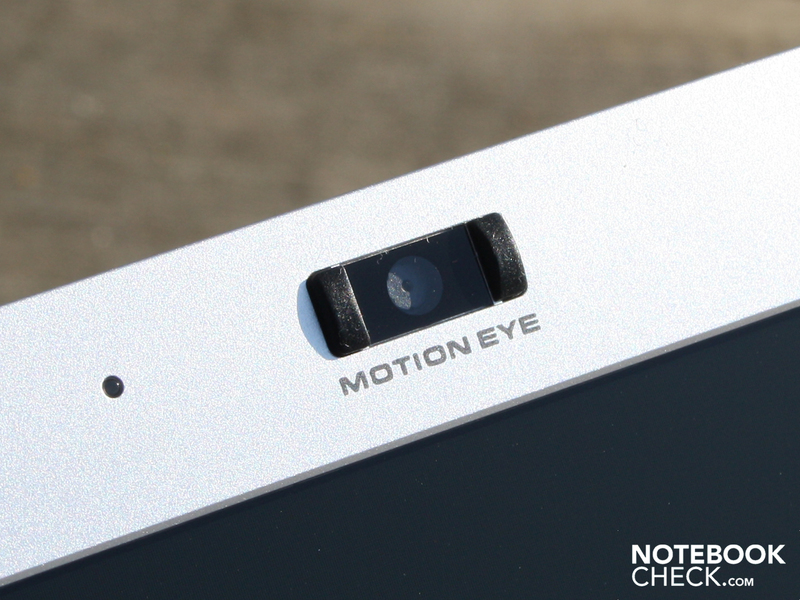 The sensor adapts the brightness to the ambient lighting conditions (eye protection, energy efficiency when battery powered), and a manual activation via the Fn buttons isn't necessary. Under sunlight the sensor sets the brightness to its maximum. 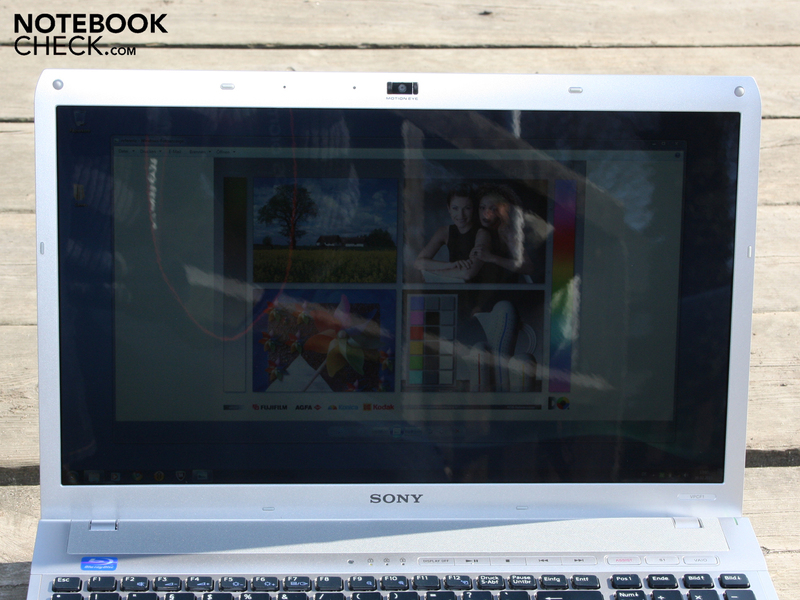 The ambient light sensor was deactivated via the Vaio Control Center for our measurements and outdoor images. The display is not suitable for use outdoors. The reflecting surface causes impaired visibility due to the reflections. Users will have to deny themselves mobile full HD entertainment. The F13 has narrow viewing angles, the wide horizontal deviations are not available. If the eyes deviate above or below (vertical), then ghosting starts to appear after about 20 degrees. To the right and left (horizontal) we were able to deviate from the middle by about 55 degrees. The Core i5-480M's two cores have a clock speed of between 2.66 (standard) and 2.93 GHz (Turbo-Boost). With Hyper-Threading four threads are processed simultaneously, since every core has an additional virtual core to assist it. The memory controller can address up to eight Gigabytes of DDR3 RAM. 4.096 GBs of DDR3 RAM are included with the VPC-F13L8E/H (two RAM modules). The tested F13L8E/H reached 2.36 points in the multi-processor benchmark Cinebench R11.5 (64-bit). This is significantly less than a i7-740QM can achieve: 3.2 points (F12Z1E). This performance difference is important for users that use special multi-processor tools, whereby the number of cores is more important than their clock speed. In the Single Core Rendering (Cinebench R10 64-bit) the i5-480M beats the slower sister CPU i5-460M (3.790) marginally with 3.831 points (+2%). The 740QM is similarly outpaced (3.780; F12Z1E). The reason for this is the identical maximum clock speed of the i7 of 2.93 GHz. How do things look when it comes to the application performance of the F13? The PCMark Vantage benchmark ends with 6.302 points - a considerable result. 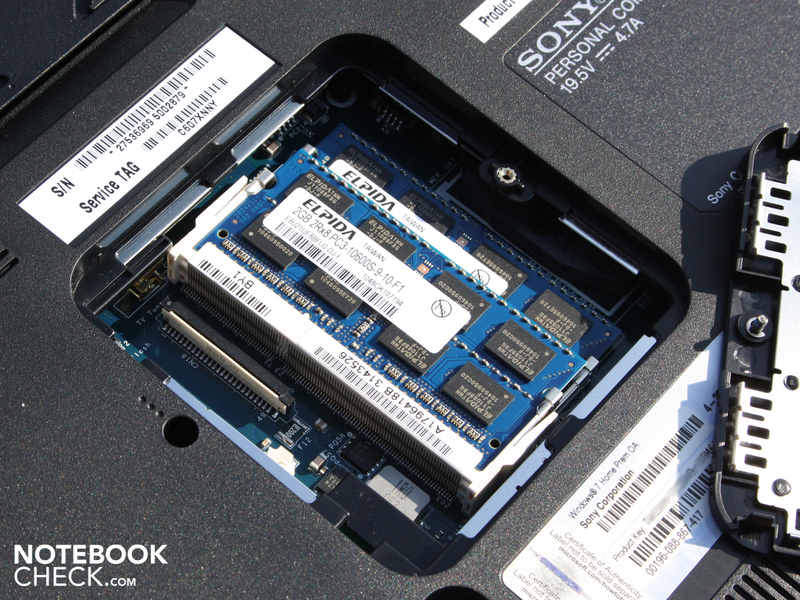 The previous Core i7-740QM system Vaio F12Z1E achieved 5.942 points. 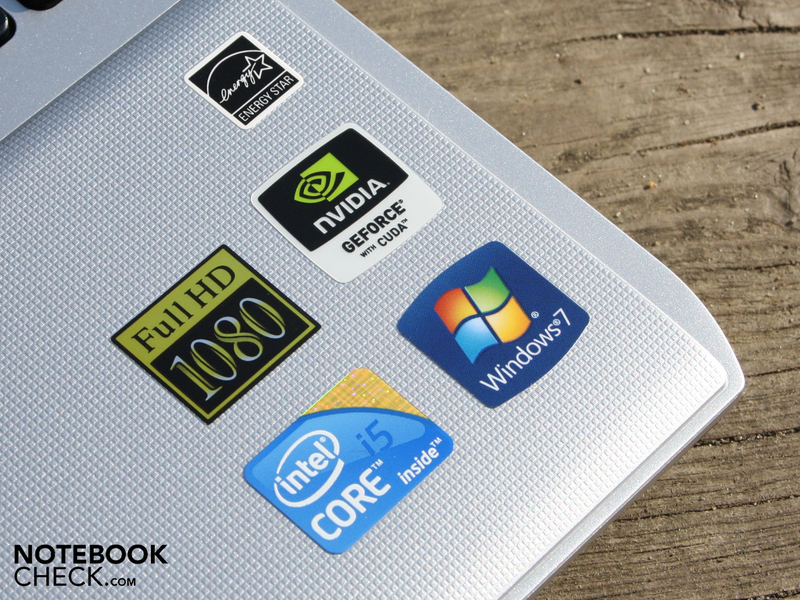 For significantly better results notebooks either have to have a brand new Sandy Bridge processor, or an SSD. The first of these is included in the Acer Aspire 7750G (i7-2630QM), which achieved 7.402 points with a normal 5400 rpm HDD. 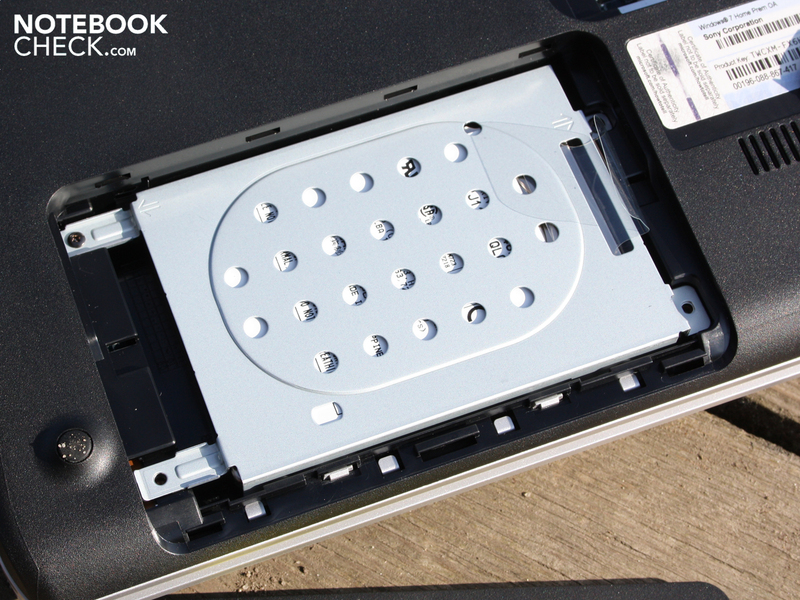 The HDD-Sub-Score of the PCMark Vantage benchmark results in an impressive 3.705 points. Typically 5400 rpm HDDs reach a maximum of 3.200 points, and higher scores are reserved for 7200 rpm HDDs. HD-Tune (66 MB/s reading) and Crystal Disk Mark 3.0 (81/76 MB/s reading/writing) confirm that the Toshiba MK6465GSXN (640 GB) has a good reading speed. The Burst Rate is very good with 117 MB/s, which indicates a fast HDD cache. The GT 425M works with 1.024 MBs of DDR3 video memory. The core has a clock speed of 560 MHz, and the video memory with 800 MHz. The 3DMark2006 benchmark results in 6.695 points, which is less than the HD 6550M (7.182) and the HD 5730 (7.265). The score comes very close to the HD 5650 (6.674). 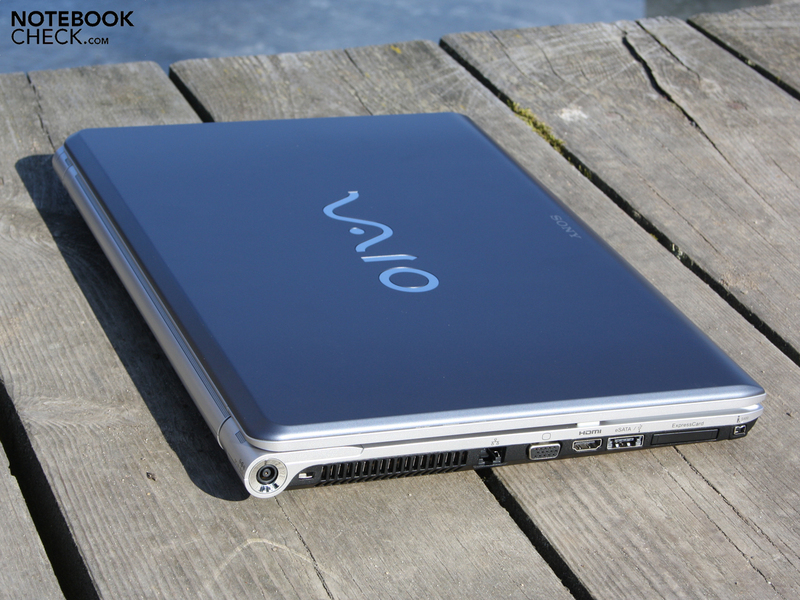 The Vaio F-series started at the beginning of 2010 with the Geforce GT 330M, which couldn't keep up with the very common ATI Radeon HD 5650, although it was a direct competitor. Sony has replaced the DirectX-10.1 GPU with a DirectX-11 suitable one. The performance unfortunately stayed similarly weak, as the following three gaming tests show. 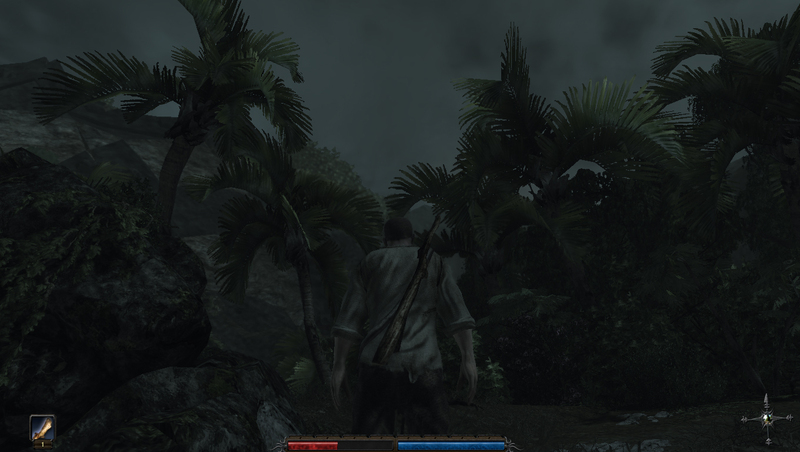 Using most mid-range notebooks the fantasy game is just about playable with medium settings (1024 x 768). An HD 5650 for example achieves around 33 fps. Our tested device can keep up with 32 fps, but only provides a weak performance overall. High detail settings are unthinkable. 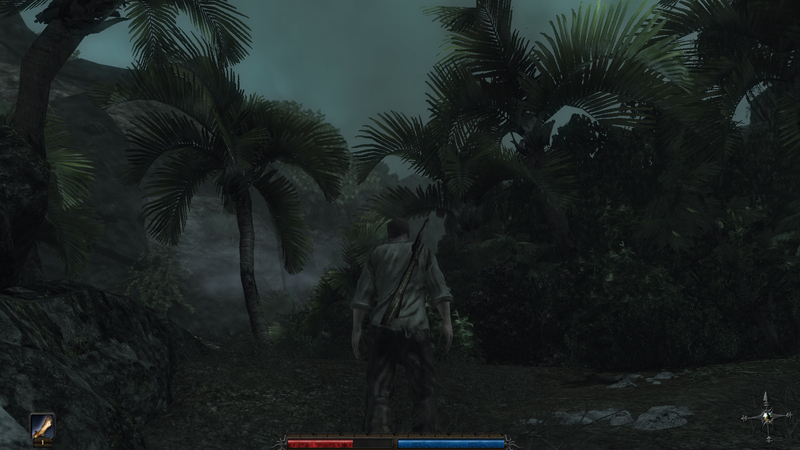 26 fps with high details (1360 x 768) are just below the levels of the HD 6550M and the HD 5650. Nevertheless the few fps will not be satisfactory for gamers. Even HD-Ready is already critical. 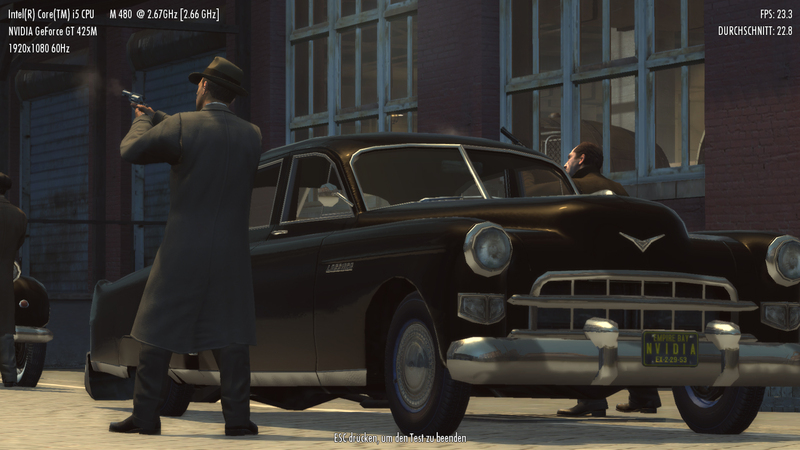 Playing Mafia II doesn't swing the situation in favor of the GT 425M either. Using high detail settings (24 fps) the level is significantly below that of an HD 5650 (Acer TravelMate 7740G-434G50Mnss: 37 fps. 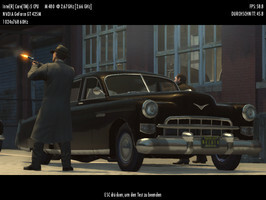 The shoot outs between gangsters have to be enjoyed with reduced details (medium). The GeForce GT 425M is suited to playing most current games smoothly with a resolution of 1366 x 768 using at least medium detail settings. 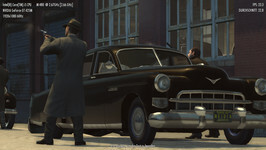 Hardware intensive games such as Risen, StarCraft2, and Mafia 2 can no longer be played with details set to high. 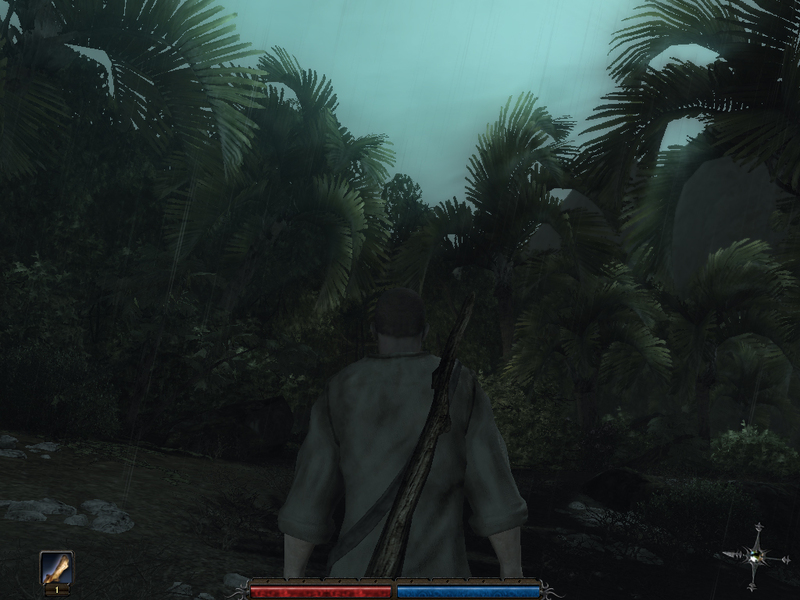 The shortly tested AMD Radeon HD 6550M showed a better performance for these games, for example Risen (+22%). The red banner under (details/resolution) max. says: Playing with native full HD is not possible with the GT 425. For this professional class graphics cards such as the Geforce GTX 460M or the Radeon HD 6970M would have to be used. 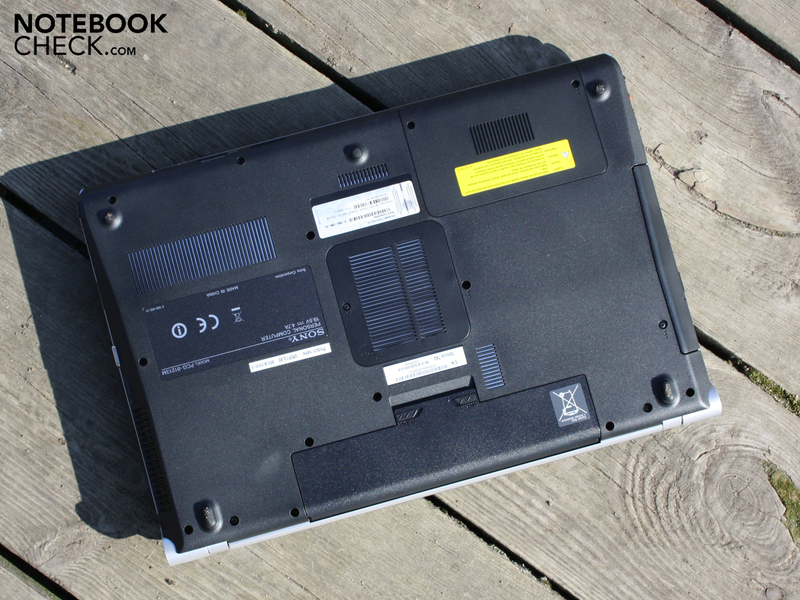 The cooling system was often a cause for concern in previous F-series devices. A lot has been said in forums and in our tests regarding this issue. With respect to the tested F13 we can comfortably say that the problems with a "whistling sound" and "uneven" cooling fan, have significantly improved. The phenomenon has persisted however, albeit much more quiet and less noticeable. More specifically there is an uneven variation of the cooling fan revolutions, as well as a sporadic metallic whistling sound. The variations and the whistling are apparent under load, as well as in an idle state. Sporadically means: Every two to three minutes, more often under load, we heard the sound - as long as we remained in a quiet room. Besides these flaws however the cooling system has been a success. In idle the cooling fan almost never switches off, whereby we measured 32.1 dB(A) at all times. Now if we put the F13 under a constant load using our gaming benchmarks, the volume increases up to 37.1 dB(A). This goes for the tested games, as well as the 3DMark2006 benchmark. Only the stress test (GPU + CPU) over several hours get the maximum: 46.6 dB(A). The noise level is now not constant, but varies every 60 seconds down to 40 dB(A) and then back, albeit at a calm pace. The base unit stays very cool in an idle state, and just about gets warm under load. During the stress test for the processor and graphics card we measured 30 degrees Celsius on the touchpad. The base plate temperature rises to a mere 36 degrees in some places (close to air vent). Due to the otherwise cool surface the average lies at a mere 26 degrees. In an idle state things look even better. The aforementioned warmest point on the base plate now only has a temperature of 28 degrees. The average temperature on the work surfaces lies at 25 degrees. The CPU core temperature doesn't rise above 77 degrees Celsius (GPU 60 degrees) during the stress test. Both are extremely moderate temperatures. (+) The maximum temperature on the upper side is 31.2 °C / 88 F, compared to the average of 36.5 °C / 98 F, ranging from 21.1 to 71 °C for the class Multimedia. 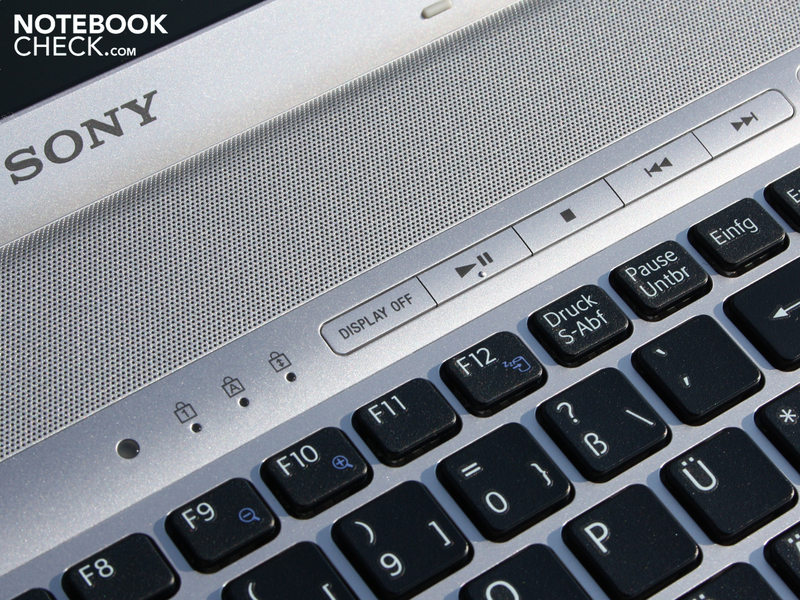 For a high-end multimedia notebook the stereo speakers above the keyboard are a disappointment. We missed noticeable low frequencies and bass. There is no sub-woofer. The audio spectrum is concentrated in the mid-range. The audio quality is far away from that provided by some other notebooks, such as the Asus N73JQ (four speakers) or the MSI FX600 (Sonic Master). The external sound system can be connected to the headphone output, as well as the SPDIF audio output. The battery life is not the strong point of the F13. 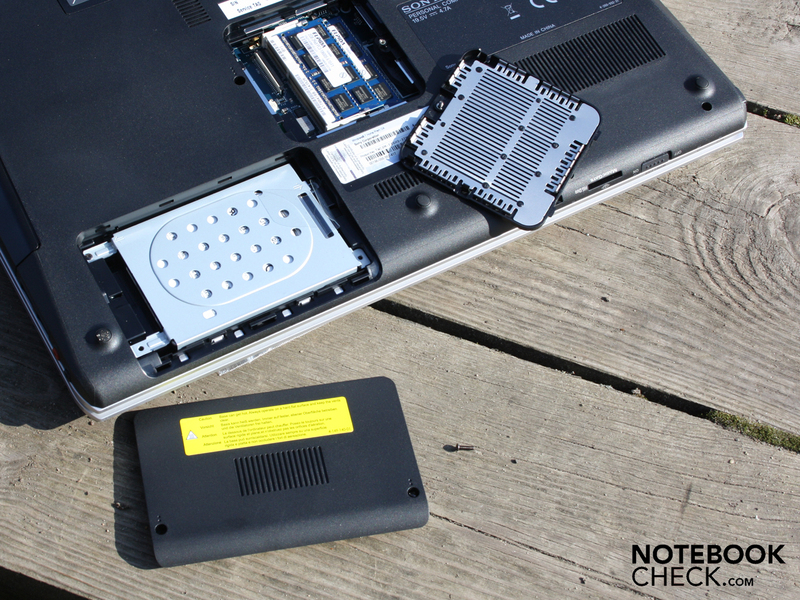 Whether idle, WLAN, DVD, or Blu-ray, the battery run times always fall short. This may be due to the 47 Watt-hour battery (4.200 mAh). The relatively small capacity is already confronted with a high power consumption of at least 16 Watts in idle (see below). The WLAN surfing session lasting 2:18 hours (138 minutes) is still acceptable. The brightness of the display was set to 100 cd/m² for this test (medium setting). A Blu-ray or DVD movie don't last a long time. The test resulted in 104 and 118 minutes respectively (luminance 100 cd/m²). Altogether the battery life has increased by a few minutes compared to the F-13 quad-core CPU, e.g. +14 minutes with Blu-ray, and +29 minutes with WLAN surfing. Idle Reader Test 155 min. Load Classic Test 96 min. 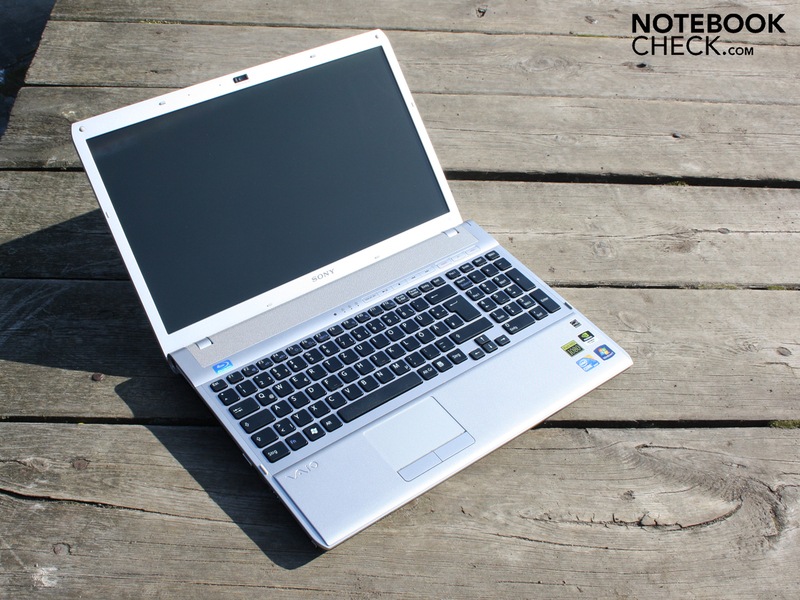 The minimum required by the 16.4 inch F13 is 16.3 Watts (idle, maximum energy saving). While in idle with the power settings at maximum (wireless active, maximum brightness), the CPU doesn't hold back and lets the power consumption rise to 24.8 Watts. The i7-740QM version (VPC-F13Z1E/B) reached 20.4 / 31.8 Watts using the same settings. 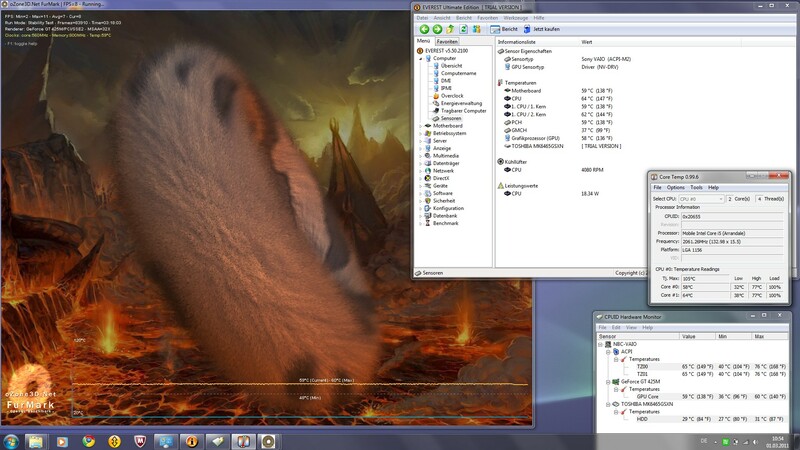 When both the CPU and GPU are operating at their full potential (stress test), the power consumption rises to 75 Watts. A power consumption of this kind isn't even reached when playing 3D games though. Our measurements during the 3DMark2006 benchmark showed: 61 Watts. 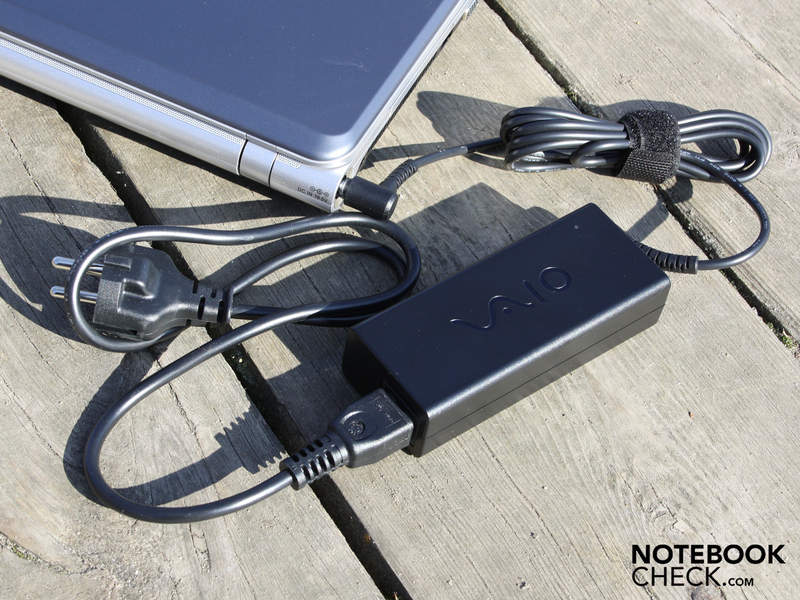 The old saying "you get what you pay for", also proves itself correct in the case of the Vaio VPC-F13L8E/H. 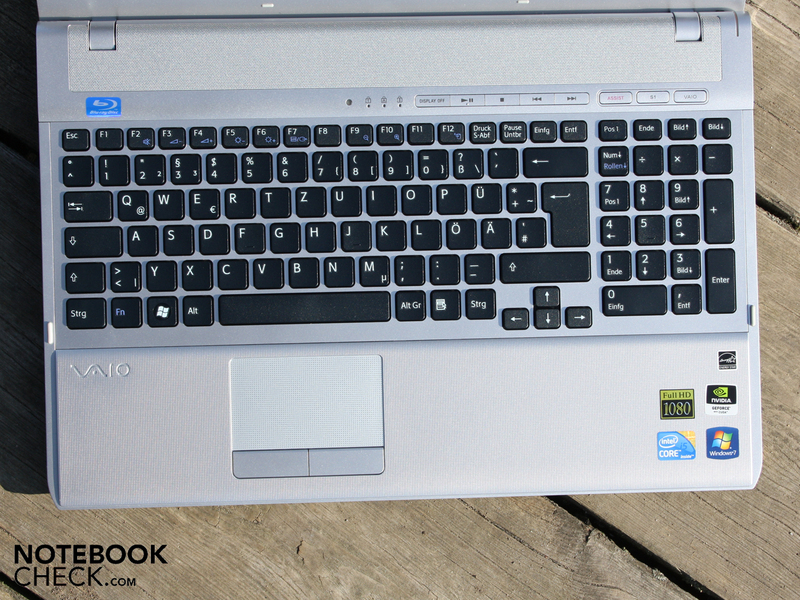 The 16.4 inch notebook in titanium gray is the most affordable version of the F-series studio laptops. The first class non-reflective display is the most important hallmark of the F-series. Although this is only the case for models that cost upwards of 1000 Euros. Those that are hoping to receive a first class display panel for 930 Euros, will unfortunately be disappointed. Not only is the display reflective, but also the good contrast, and color space, as well as the wide viewing angles are not included. Merely the 1920 x 1080 pixel full HD resolution has remained. The current Core i5-480M (2 x 2.66 GHz) is fully up to date, and provides for a very good performance in conjunction with the acceptably fast hard disk (5400 rpm). The step backwards from a quad-core in the more expensive F-series models is not noticeable in the benchmarks, and even provides advantages in terms of the power consumption. The power consumption for example has decreased significantly, under load as well as in an idle state. For this reason a 90 Watt AC adapter is sufficient. The VPC-F13L8E/H is an entertainment center, which can also be used for producing videos and music due to its strong processing power. 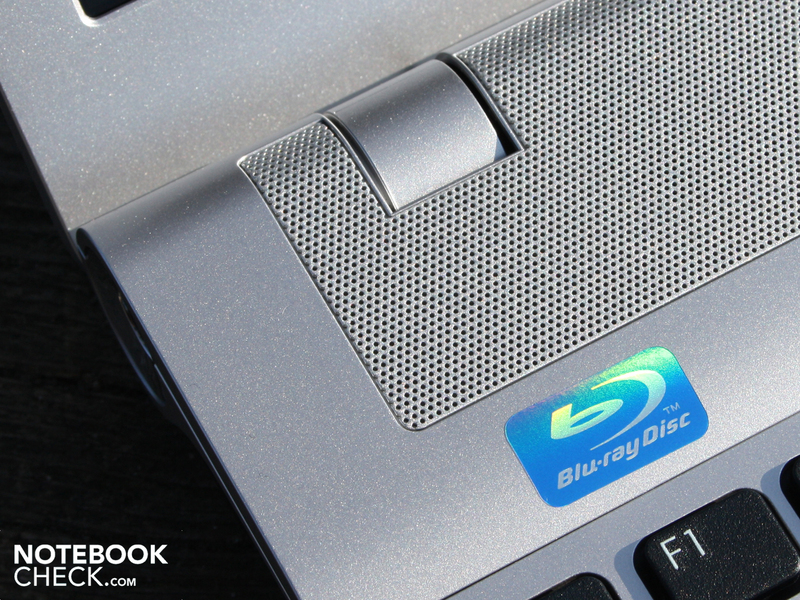 There is a Blu-ray (BD-ROM) / DVD burner, 2 x USB 3.0 ports, a FireWire port, and an ExpressCard34 shaft included. Unfortunately the ports are not ideally located. A positive aspect are the well laid out and stable input devices. The F13 is not a gaming laptop. The Nvidia GeForce GT425M has the same problems as the AMD ATI HD 5650 / 6550M: There are no performance reserves for playing games in full HD. 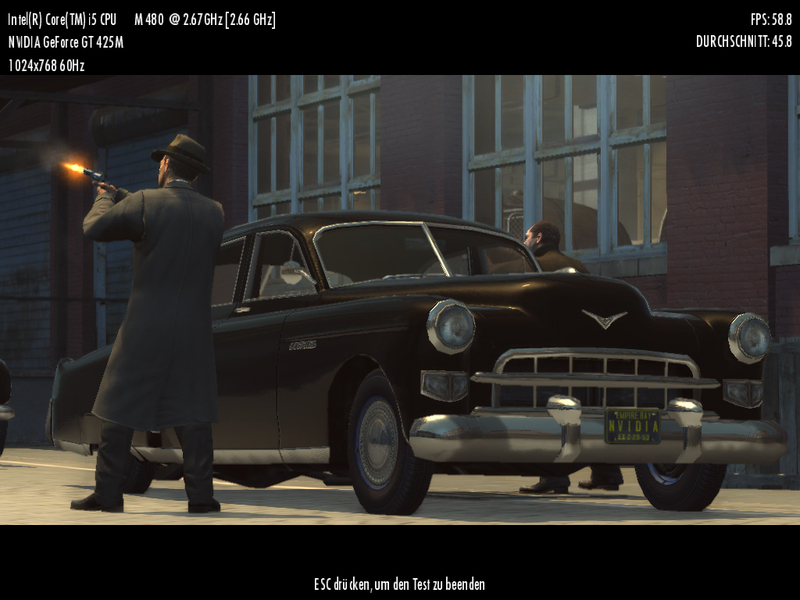 Even high details in HD-Ready (1366 x 768) are critical for the GPU. 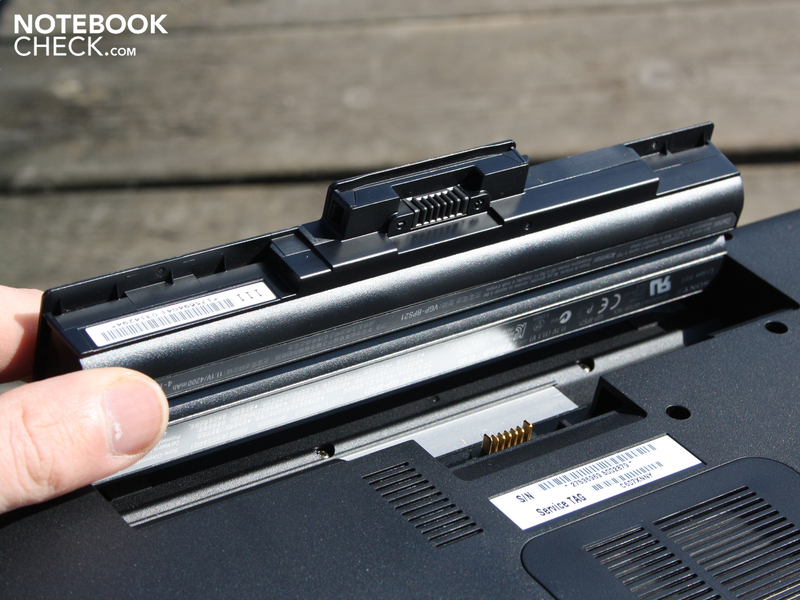 Those that are sensitive towards the noises from a laptop, will find it difficult to come to terms with the F13L8E/H, although there is no longer a serious issue with noise. In quiet surroundings there is an uneven variation of the cooling fan speed, as well as a sporadic metallic whistling noticeable. The variations and the whistling also remain when under load. There was already a lot of talk about the noise in forums in 2010. Since we also dealt with the same devices in our tests, we can comment in this respect: The gravity of the cooling fan phenomenon has improved, but has remained. There is no wild whizzing, the cooling fan just turns with a moderately uneven speed, and sporadically makes a metallic whistling sound. 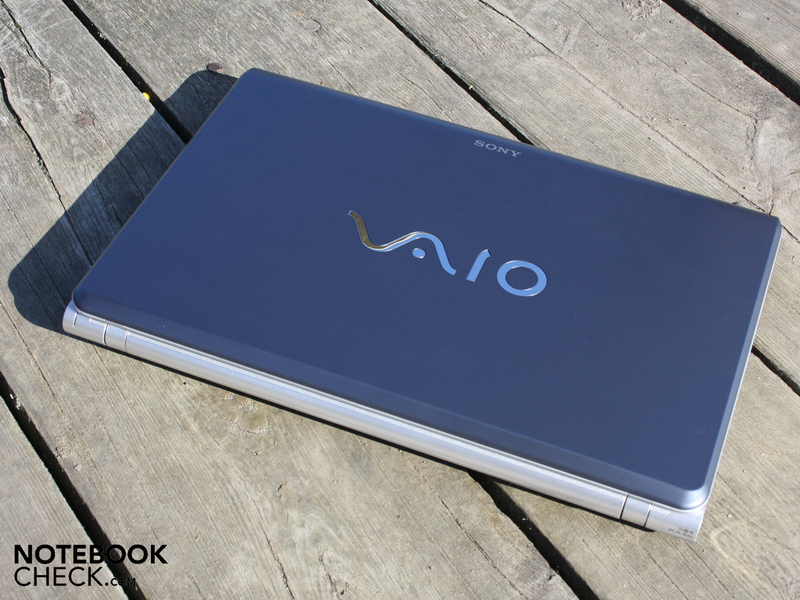 Sony Vaio VPC-F13L8E/H Titanium gray: The affordable full HD entry unfortunately only provides a color and contrast weak display. USB 3.0 has been included. The DDR3 RAM (2 x 2.048 GB) as two modules can be easily accessed. The Sony batteries are inserted by turning into position. This holds the battery firmly in place without big latches. Soft rubber helps in this case. 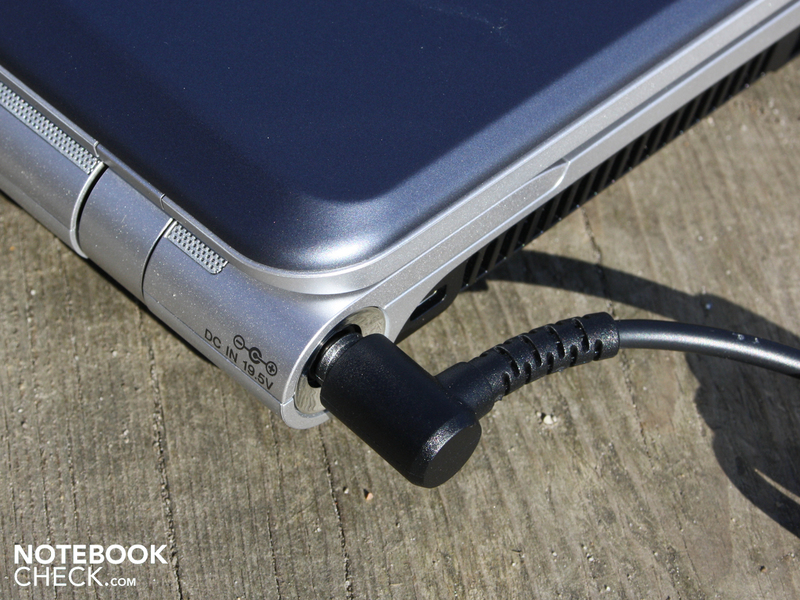 The 4.200 mAh (47 Wh) keep the 16.4 inch notebook on its feet for about two hours (WLAN test). 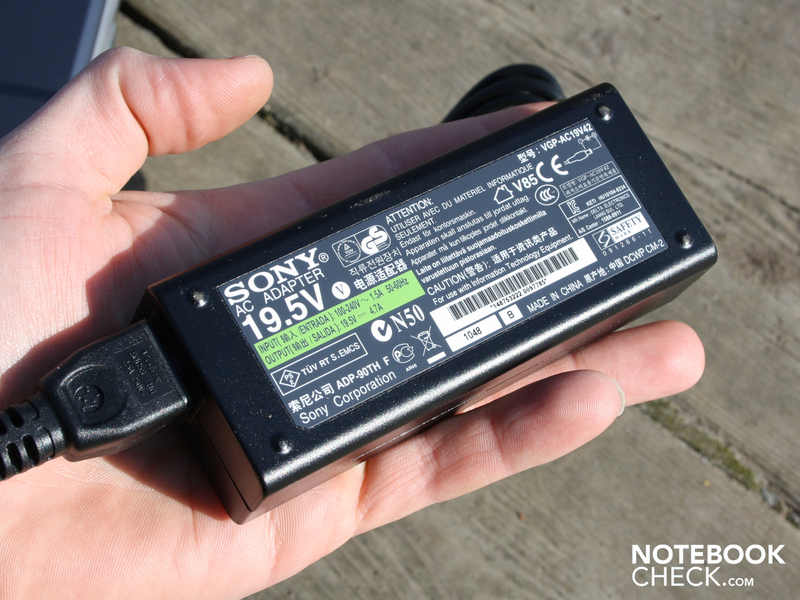 The 314 gram weighing AC adapter provides 90 Watts. This is sufficient for the maximum power consumption of 75 Watts. It is suited for occasional transport, and the thick power cable is only about 80 cm long. Accessories: There are no additional media included with delivery, users have to burn their own Recovery DVD. 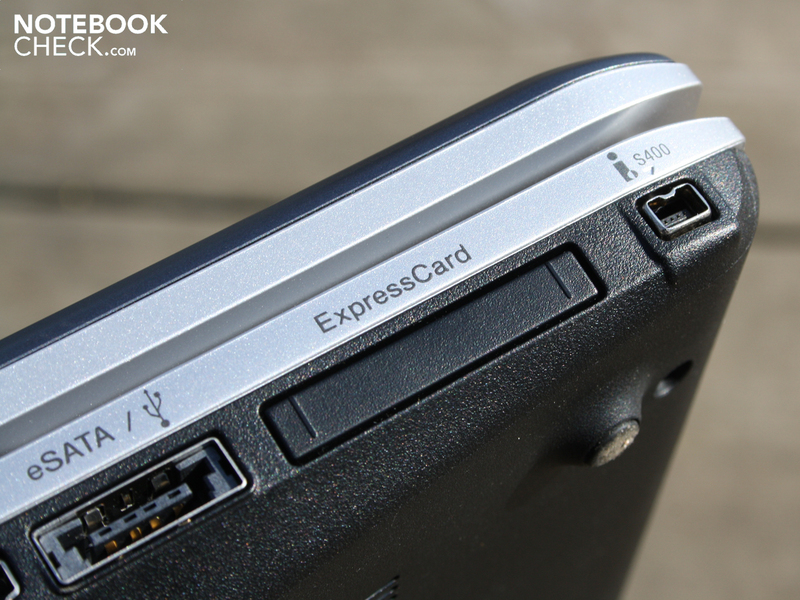 Expansion cards fit into the ExpressCard34 slot. There are even two card readers (SD+HG Duo) at the front. 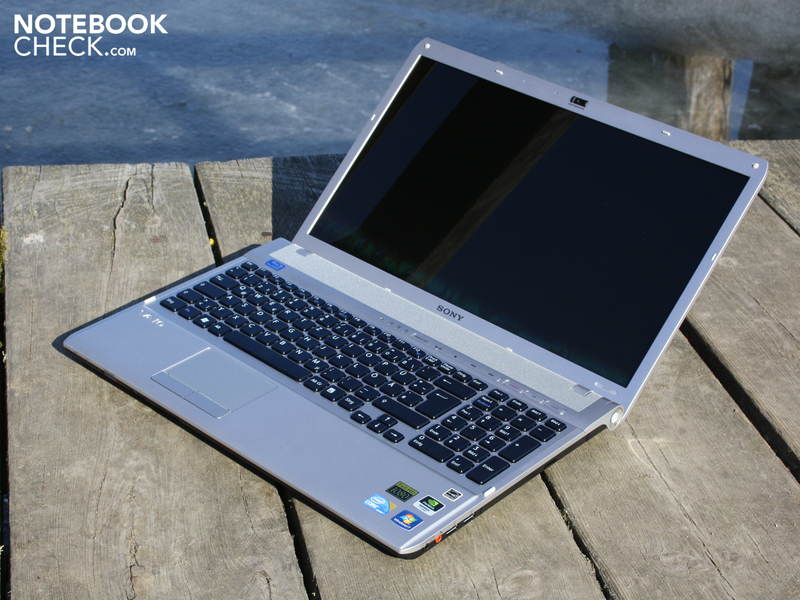 that are looking for a large (16.4 inch) notebook with a good build quality and appealing looks. The F-series is a small desktop replacement with a full HD display. There are also a Core i5 and GeForce GT 425M powering the system. The build quality has almost no faults. The appearance has a mild cylinder look. On the right side the power button lights up. The raised palm resting area has a pleasant surface and is firm. Matte insensitive surfaces make for a work suited laptop. The webcam is not suitable for photographs, it has a resolution of 0.3MP (VGA). An ambient light sensor adjusts the brightness of the display (activated). There are several interfaces for connecting external devices. Pretty, matte, and stable chassis, with good input devices. Many ports inc. USB 3.0. A colorful panel would have suited this entertainer perfectly. The devious cooling fan doesn't want to disappear from the headlines. With a little practice this can be ignored though, just like a bad headline in a newspaper.